DALSTON SUPERSTORE is proud to present the fourth edition of our fundraising series We Are Family! 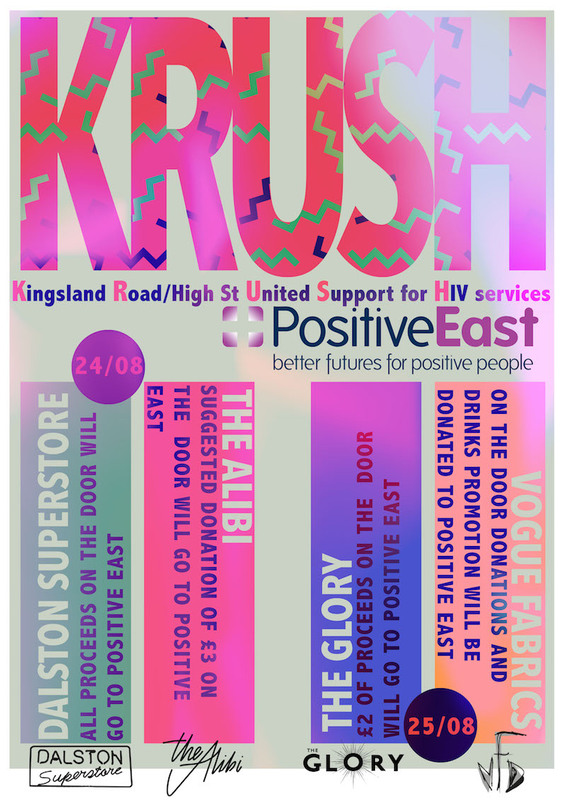 This time around we raise money for longstanding East London HIV charity, Positive East’s summer series. Positive East has been on the forefront of HIV service and care for over 26 years; supporting people from point of HIV diagnosis to longer term care. We have invited some of our besties to the ‘store for a big ol’ bash to raise some money for this very important cause! Expect disco, RnB and pop on the top deck, and house and techno nonsense in the lazercaze!